Norman Springford has a diverse range of interests, and has had an interesting and varied career across a number of sectors. 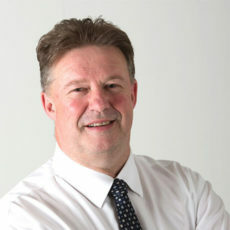 He began working in finance, originally with the Inland Revenue, and latterly as a self-employed accountant until 1991. With the expansion of his business activities, primarily in the hospitality and catering industry, he came to own a small group of 25 public houses in the Edinburgh and surrounding area, which he eventually sold in 1997. In the mid-1980s, Norman acquired and operated Britain’s largest theatre, the 3124-seat Edinburgh Playhouse, which provided a rich vein of memorable stories. Norman is most well-known for his work with the Apex Hotels Group, which has expanded to encompass 1500 rooms in 10 hotels across the UK. This process began 20 years ago, when he purchased a derelict university building in the Grassmarket area of Edinburgh and developed it into a hotel. Throughout the years, Norman has maintained a keen interest in sport, with a continuing passion for hockey. He currently has playing, umpiring and coaching roles at CALA Edinburgh Hockey Club and the Scottish Veterans Hockey Club. Ada Yvars Bravo studied architecture at ETSAB in Barcelona. Ada has since worked at Carlos Ferrater Architects in Barcelona. 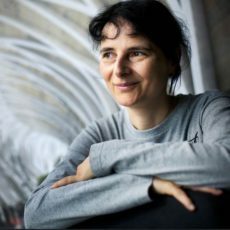 Ada then tutored with Florian Beigel Architects in London and worked at Stirling Prize-winning David Chipperfield Architects where she was responsible for the Francis Bacon Studio, London; the MACLA office building in Barcelona; and the Rothschild House in New York. Ada is a co-founder of MYAA and has worked on the Qatar Faculty of Islamic Studies at Education City, Doha; the Msheireb Phase 3 project, Doha; the Jeddah Creek mega project; KAND Smart Eco City; KA Sports City, Jeddah; the Ministry of Justice Law Court Building in Jeddah; and a fifty-storey Al Khobar Tower. In London, Ada was responsible for the Kensington and Chelsea Amenity Building. Ada’s more recent work includes a strategic overview of rail and infrastructure projects; cultural and faith-related projects; and a World Cup stadium. Ada was recently shortlisted for the Moira Gemmill Prize for Emerging Architecture, sponsored by The Architectural Review and the Architects’ Journal. Sir Mark Jones is Chair of the Pilgrim Trust and Hospitalfield, and proprietor of the Golden Hare bookshop. He is Honorary Chair of the Sarikhani Collection of Persian Art, and is on the boards of the Watts Gallery; Tullie House Museum and Gallery; the Ashmolean; the Corning Museum of Glass; the Historic Environment Scotland Trust; and the Grimsthorpe and Drummond Trust. He is currently working on an exhibition on Algernon Newton and a book about the life and work of William Wyon. Past jobs include being Master of St Cross College, Oxford; Director of the V&A; Director of the National Museums of Scotland; and Curator of Medals in the British Museum. Andrew joined the City of Edinburgh Council as Chief Executive in July 2015. He began his local government career with Falkirk District Council. 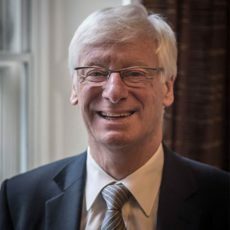 His 32-year public sector career has since included more than three years at Birmingham City Council and North Tyneside Council, where he was CEO from 2005. Riccardo was born in Pistoia, Tuscany, and graduated from the Mackintosh School of Architecture. As an architect who would define himself as a modernist, he is acutely aware of the destructive nature of architecture which does not know where it belongs and who it is there to serve. He believes that people have to be central to the process of creating our future settlements and in our endeavours to rethink our existing ones. Riccardo loves design and designing but is fascinated by what makes places work. He has come to the simple conclusion that places are a reflection of the culture of the people who created them. This simple understanding is core to his passion for ‘place making’. He has for many years endeavoured to show that the real value of place is far more profound than monetary value alone, but that the economic indicators which drive a lot of the current decision making can only be achieved and sustained if you create the genuine article: a place that makes people happy. 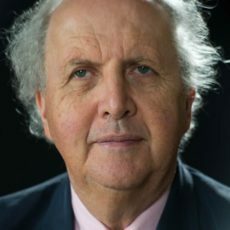 Alexander McCall Smith CBE is Professor Emeritus of Medical Law at the University of Edinburgh. He has written and contributed to more than 100 books, including specialist academic titles, short story collections, and children’s books. His books include the best-selling Botswana series, The No.1 Ladies' Detective Agency; the Edinburgh based Isabel Dalhousie novels; and 44 Scotland Street, which was first published as a serial novel in The Scotsman newspaper and is now the longest-running serial novel in the world. His books have been translated into forty-six languages. In 2011 Professor McCall Smith was honoured by the President of Botswana for services through literature to the country. The competition is being managed by Malcolm Reading Consultants (MRC). Malcolm, an architect by training, founded the company after six years as Director of Design and Architecture at the British Council. He has overseen international architectural competitions for leading organisations, including the V&A; the Foreign & Commonwealth Office; the Solomon R. Guggenheim Foundation; Mumbai City Museum; Glasgow School of Art; New College, Oxford; and the Natural History Museum. 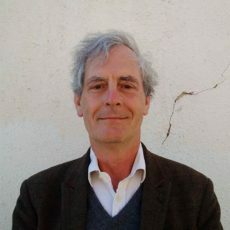 He was on the Board of Historic Royal Palaces from 2005-2014, is a Trustee of English Heritage, a Fellow of the Royal Society of Arts and an Honorary Fellow of the Royal Geographical Society. He joined the Sovereign Grant Audit Committee in June 2015. Malcolm was President of the 2014 Prix W architectural prize, and a judge of World Architecture News’ 21 for 21 Award; the American Institute of Architects’ UK Excellence in Design Award; and World Architecture News’ Education Award 2015. He writes regularly for the Architects’ Journal. 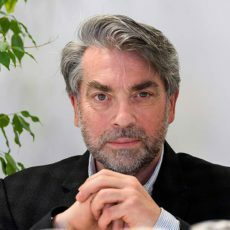 Adam Wilkinson, Director of Edinburgh World Heritage (EWH), is an acknowledged expert in the sustainable management of historic cities. In Edinburgh he has championed the integrated approach to heritage management through the work of the EWH team in conservation, learning and advocacy. 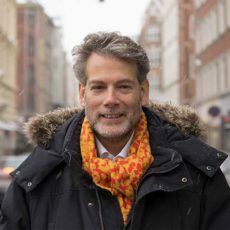 Internationally he works with a range of colleagues from other cities to promote and share experience in relation to UNESCO's Historic Urban Landscape approach. 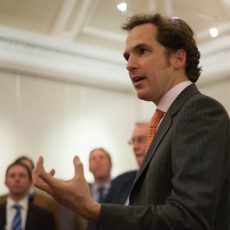 Adam is on the Council of Europa Nostra and the Editorial Board of Built Heritage (Tongji University), and has non-executive roles with a number of UK-based heritage NGOs. In his free time he attempts to fit family life around (and into) the restoration of an 18th-century manse in a former coal mining settlement. 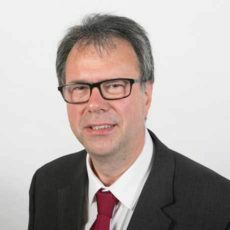 Councillor Donald Wilson is the Convener of the City of Edinburgh Council’s Culture and Communities Committee. As leisure leader, he oversees the Council’s support and development of the arts, festivals, culture and sport. He was appointed to the role in June 2017, following five years in the post of Edinburgh’s Lord Provost – a civic role responsible for promoting the city at home and abroad. Before entering local government politics, Councillor Wilson held a long career in teaching.